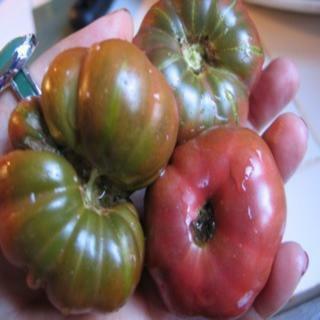 These seeds produce tomatoes similar to Turks Nuts without the button on the bottoms. Every fruit is a different odd shape. Very much fun to grow and eat! These little black beauties are kind of similar to Turks Nuts without the button on the bottoms. They are spicy and sweet. Every fruit is a different odd shape. Plants are very disease resistant and productive. Very much fun to grow and eat!